School Plus is one of South East Queensland's highest quality Outside School Hours Care provider. School Plus has been independently rated by ACECQA as Exceeding or Meeting at all services. School Plus is a member of the Queensland Department of Education, Training and Employment’s Pre-Qualified Panel of Providers of Outside School Hours Care. Bellmere State School opened in 2016 as a world class education facility focusing on personalised learning for every student, using innovative teaching strategies. The facilities are state of the art, ensuring that all our students have what they need to be successful learners. Their approach is very hands on and based on building teams to work together to ensure each child reaches their potential. School Plus is very proud to be part of this team approach in partnership with the school. Biggera Waters State School, established in 1970, is a co-educational school. The school is located near the beautiful Broadwater of the Gold Coast in the suburb of Biggera Waters. The school caters for students in years Prep to year 6. Since the foundation of the College in 1989, CHAC has regarded the well-being of the individual as vital to the health of the whole community. Set in a beautiful natural environment, this is a friendly school, where teachers challenge, support and care for learners, and value their unique personalities and learning styles. The students' successes continue to be a source of great pride and satisfaction for staff, thanks to a balanced and holistic educational environment, and a diverse, innovative and progressive curriculum. State School celebrates the integral role parents, staff and the wider community all play in promoting a safe, challenging environment that not only achieves academic results but also prepares students for their future. We warmly welcome children and families from Christ the King Primary School to attend our Graceville Outside School Hours Care Service. We transition the children via a walking school bus to and from the service every day. This is an easy and relaxing stroll that children and educators both really enjoy. Griffin State School opened in 2016 as a world class education facility focusing on achieving the very best for every student through the adoption of personalised, innovative and proven teaching strategies. The facilities are state of the art, ensuring that students have what they need to be successful 21st Century learners. Their approach is very hands on and based on building highly effective teams that work collaboratively to ensure each child is given every opportunity to achieve their potential. School Plus is very proud to be part of this team approach in partnership with the school. 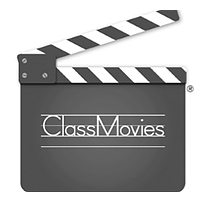 Our Industry body Queensland Children's Activities Network (QCAN) invited this service to produce a Class Movie. Please click on the link below to see a little more about this service. School Plus is opening a new service at Mansfield State School on Monday 5 November 2018. Mansfield State School is a school of excellence and continues to grow as a result of its achievements. School Plus is very proud to be part of this team approach in partnership with the school. For existing users of the onsite service please enrol now with School Plus for a smooth transition. Moorooka State School is situated in the beautiful suburb of Moorooka, on Brisbane’s southern outskirts. They focus on a well balanced curriculum with an emphasis on improved literacy and numeracy outcomes, in a happy and caring environment. Moorooka State School is proud of its motto of "Where great things happen" and School Plus strive to ensure that we continue greats things happening at Outside School Hours Care also. Nundah State School is one of the oldest primary schools in Queensland. It was founded in 1865 on the same site that it occupies today. The school has a very long and proud tradition of serving our community by providing excellent education. A vital part of this is the partnership between schools, parents/carers and the whole community. School Plus love being part of this community approach. Sunshine Coast Grammar School is a unique learning environment set on a beautiful 90 acre site with its own lakes and rainforest. Sunshine Coast Grammar is an independent, co-educational, Christian based school for children from Prep to Year Twelve. Established in 1997, the school is committed to excellence and offers an outstanding comprehensive education, based on individual care and attention. The School provides high quality academic, cultural and sporting programs in a supportive learning environment to enable students to reach their individual goals. William Duncan State School has a proud history of serving the community of Highland Park on the Gold Coast since 1987. As a co-educational school of around 500 students from Prep to Year 6 they aim for a balance of academic, cultural and sporting achievement whilst maintaining high expectations for student behaviour and appearance. William Duncan State School students are fortunate to be immersed in specialised classroom musical lessons. Yarrabilba State School is a brand new school operational since January 2018. This school delivers quality teaching and learning outcomes for local students with a focus on 21st century learners.